Copyright © 1999 Balmoral Software (http://www.balmoralsoftware.com). Portions copyright © 1996 Daydream Software AB. All rights reserved. Republication, redistribution or conversion is expressly prohibited without the prior written consent of Balmoral Software. Contents subject to change! For the latest information, see http://www.balmoralsoftware.com. Safecracker is an excellent puzzle game with a theme based on cracking a whole slew of safes encountered while exploring a mansion. 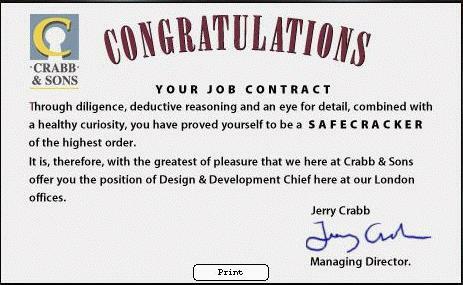 The premise is that the player will be offered a job contract at the Crabb company, a manufacturer of custom-made safes, if he can open all the safes in the company headquarters. As the game progresses, the player collects clues used to solve additional puzzles and to open a final safe and finish the game. Originally released in Europe in 1996, Safecracker was the first production by Daydream Software in northern Sweden, who have gone on to produce other game titles in a variety of genres. The game takes a light-hearted tone with the player, and those in the computer industry may recognize some of the in-jokes here and there. An introduction to the backstory is well-established in a comic-book format in the game booklet. Gameplay is very non-linear, with multiple ways of getting around and little dependence on the order in which puzzles are solved. This design makes the game a pleasure to play since if you're stuck on one puzzle, there are usually plenty of others to work on in the meantime. The game contains a sliding-piece puzzle that is often unsolvable due to a parity-check error, but an external program can help with this, and no problems were encountered with any of the other puzzles, which are generally not too difficult to solve. Navigation is accomplished with the usual point-and-click interface using node-based movement, and the Director-based design employs a smart cursor that indicates where interaction with the environment can usually take place. Although all gameplay is shown in a relatively small 460 x 280 pixel viewport on the screen, this does not seem confining since the viewpoint can be controlled in a full circle, as well as up and down to a limited extent, using the QuickTime VR engine. The game needs more variety in the room-specific musical backgrounds - the segments are extremely repetitive and some are used in more than one room. However, sound effects are excellent throughout. Saved games are file-based, and an overwrite warning is provided. Since the game fits on a single CD-ROM, no disk swapping is necessary. An interesting "home movie" format is used at the end of the game to introduce the player to the game designers. Safecracker will be a pleasure to play by any puzzle game enthusiast. Press the Esc key to skip video sequences when starting and exiting the game. But the intro is worth watching at least once! The walkthrough makes extensive use of compass directions. The direction you're currently facing in the game is shown on the screen at lower right. 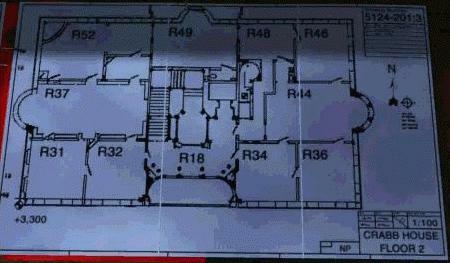 For best results when navigating through the Crabb mansion, make hard copies of the house maps. Puzzles can be reset before they're solved by backing out and zooming in again. Wait until all three keys are in your inventory before cracking a Three-Key Safe. If you insert fewer than three keys and attempt to leave them there while searching for the remaining keys, you will lose the ones you inserted. If your 12 hours of gameplay time run out, you can still continue playing the game to a successful completion. Hungry? Try eating any food you come across in the game. Some you can, some you can't! The game environments have many objects to interact with; not all are mentioned in this walkthrough. Safecracker is designed to be played in a very flexible order - only one of many possible paths through the game is shown in this walkthrough. Special thanks to Nigel Papworth, Jan Phersson-Broberg and Cathrin of Daydream Software (www.daydream.se). A new game starts you in a telephone booth. Click on the ringing telephone and listen to Jerry Crabb tell you the code for entering the house. You have ten minutes to find your way into the house; otherwise, you'll have to restart the game and try again. Turn right and exit the telephone booth. Move forward to the crosswalk and cross the street. Continue up the other side of the street until you reach the gate to the Crabb estate. Zoom in on the gate padlock and click each tumbler five times to produce the only discernible set of three similar symbols: music notations. This opens the padlock, allowing you to move forward to the house entrance. Zoom in on the access panel to the left of the front doors and unlock the doors by entering the code from the telephone message: 1923. Move forward through two sets of doors into the Reception area. 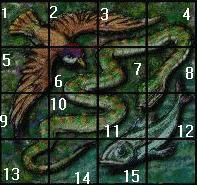 Clicking again removes the piece from the lower-right corner and jumbles up the picture, producing a standard 4 x 4 slider puzzle. Balmoral Software's sliding-piece puzzle program can be used to test whether or not the rearrangement can be solved; use the annotated diagram above to enter numerical values for the pieces. 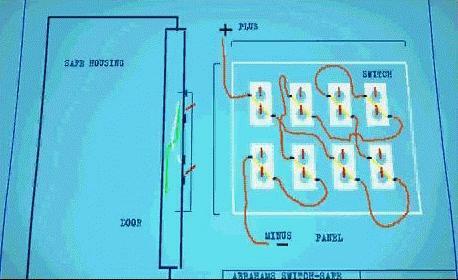 The program also provides a solution to the puzzle. When the puzzle is complete (except for the missing piece at the lower-right corner), click on the handle at left to open the safe. Pick up keys to Room 6 and Room 27, and a photo showing part of the solution to the Secret Room Safe. Enter Room 2 through the right-hand door at the east end of Reception. Exit Room 5 through the door in its southwest corner. Once again, simple trial and error could eventually produce a solution to this puzzle since any mistake resets the puzzle to its initial state. Turn the handle to open the safe and obtain the #6 combination element for the T-1001 Safe and the C combination element for the F-9-12 Safe. Open the closet door, which is the center one of the three doors along the west wall of Room 27. Inside, look down and and zoom in on the blue lockbox on the lower shelf. Use the Room 27 key you obtained from the Slider Safe in Reception to open the lockbox; pick up three 3d and three 50p coins, as well as a key for Room 9 and a note indicating that the lock of the file cabinet in Room 9 is broken. There is also an interesting book on mathematical puzzles (including a diagram of Pascal's triangle) that can be found on the corner of the desk. Exit Room 6 through the door on its west wall, then immediately turn left, close the door, and proceed through the door ahead into Room 21 (the Kitchen). Set these temperatures accurately on the corresponding thermometers by holding down the mouse on their individual Fill and Drain controls. Set a uniform lower temperature by using the black arrow knob at lower right until the Fahrenheit thermometer reads 49 degrees. Click on the refrigerator handle at upper left to open the safe. Inside, obtain a lightbulb, milk carton, apple and banana (all just-for-fun items, the last two "edible"), as well as a block safe key and the #4 combination element for the T-1001 Safe. If desired, at this point you can open up a passage down to the cellar of the house by turning around from the refrigerator and rotating the handle of the coffee grinder on the wall above the shelf. This opens up a secret door to the right of the refrigerator. The secret door closes when you return to Room 7 from the kitchen, but automatically opens if you need to enter the kitchen from the cellar. Exit the kitchen to the north, back into Room 7. Zoom in on the Block Safe to the right of the fireplace and open it by using the block key you picked up from the Refrigerator Safe in Room 21. Inside, take the Room 7 #1 Key; it will be used later in the Three-Key Safe in this room. Turn around and zoom in on the Flower Safe in the northwest corner. As described in the Crabb Safes User Handbook you read in Reception, this safe is opened by pressing the center of the flower dials to match the red/yellow pattern at upper left. Each of the three flowers controls the patterns on the other two, cycling through the same sequence of color combinations. The solution is found by pressing each flower center five times. 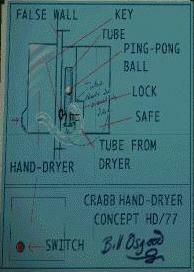 Open the safe by pressing the leaf-like handle at lower left, and pick up Egyptian cypher #1 (unused in the game) and the #2 combination element for the T-1001 Safe. Exit the room through the west door. Incidentally, if you turn around at this point, the picture on the wall of the guy in sunglasses is Jan Phersson-Broberg, the Project Manager for Safecracker. Go on through the door by the file cabinet. Maneuver between the two desks in this room; another copy of the 1996 Crabb's Safe Catalogue is available here. On the top of the desk facing the windows, zoom in on the in-tray and click on it to obtain a dictaphone. Move to the Voice Safe left of the windows and press the Speak button. Use the dictaphone and press its Play button, then click on the chrome handle at right to open the safe. 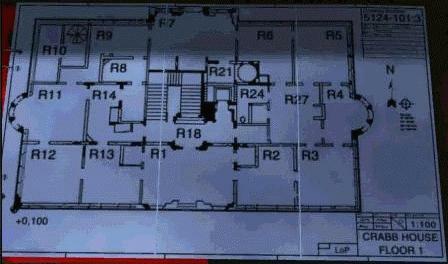 Inside, pick up the Room 13 #2 Key, the A combination element for the F-9-12 Safe, and a list of radio codes. Exit Room 11 to the south. Inside, pick up the Room 13 #3 Key and the K combination element for the F-9-12 Safe. Exit Room 7 through the east door and continue east through Room 6 into Room 5. Zoom in on the Liberty Safe on the west wall of this room and open it by pressing the letters L A F A Y E T T E, turning green all nine lights above the Statue of Liberty. Open the safe and pick up a diapictures disc and the Room 7 #2 Key. Exit through the west door and back into Room 6. (With three of the four access code digits, you could have found the missing one by trial and error and reached the second floor earlier, if desired.) Navigate through the Sick Room and exit south into Room 13. Immediately turn right and zoom in on the Three-Key Safe. Open this safe using all three of your Room 13 keys, and obtain the E combination element for the F-9-12 Safe. Leave Room 13 through its east door, then go through the double doors in the back of Reception. Climb the stairs - they're permanently barred from above. At the upper landing, zoom in on the Coat of Arms Safe hanging on the wall. At far left is a small note taped to the inside of the shield, referring to the sequence head, eyes, limbs and suggesting that the associated quantities should be used to open the safe. On the dials labeled with Roman numerals, enter the combination 1 2 4 by clicking on the left dial once and the right dial three times. Click on the loop-shaped handle to open the safe, and obtain the Room 24 Key and the #5 combination element for the T-1001 Safe. Go back down the stairs and exit the stairwell through the short corridor and doorway at its east side. From Room 27 (Technical Design), enter the right-hand door along its west wall, the one marked "W.C.". The plumbing fixtures in this room offer the usual sound effects, if you're curious. Zoom in on the Hand Dryer Safe behind the door. Insert the Room 24 key into the slot in the clear tube before the fan timer shuts off and the ping-pong ball drops. 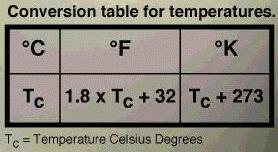 Take the #8 combination element for the T-1001 Safe. We have now cracked all safes on Floor 1 except the one in Room 3 (the Designers' Room). Since we have the complete access code for the Elevator, we'll visit Floor 2 next. Retrace your steps back to the stairwell and head for the elevator in its northeast corner. Zoom in on the control panel at right and enter the elevator access code: 1 8 1 2. Move inside the elevator, turn right and click on the 2 button to activate the elevator (the cellar is permanently inaccessible from the elevator). After a vibrating ride, exit the elevator and zoom in on the right-hand cannon in the Cannon Annex. Click its firing pin to open it and obtain some additional munchies: thermos, crackers and soft cheese. Go through the door at the west end of the annex. 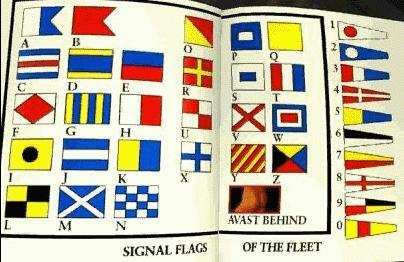 Open the roll-top desk in this room to obtain a handwritten signal flag alphabet. 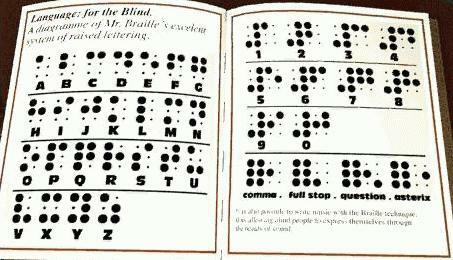 Although not as complete as the alphabet seen earlier in the Coffee Room, it's enough to be useful later, and you can take this one with you. Zoom in on the Joker Safe and insert one of the 3d coins you obtained from the lockbox in Room 27's closet. Alternate pressing first the apple symbol at upper left and then the corn symbol at left center until the joker's ears, eyes and tongue are all "normal" and the safe opens. Pick up the B combination element for the F-9-12 Safe. Exit the room to the west. Zoom in on the Venus Safe in the corner of this room. Form a proper image of Venus by clicking five times on the outer ring, six times on the middle ring, and four times on the inner ring. Then, click on the chrome lever at far left to release the latch. Open the safe by clicking on the vertical handle at upper left and take the #10 combination element for the T-1001 Safe. Exit the room to the east and continue east through Room 32 back into the cannon annex. Use the right-hand door on the east wall of the annex to reach Room 34. Zoom in on the Clock Safe in the southeast corner of this room and use the "note from key box" you obtained in the security guard's office to enter the combination III VII I. 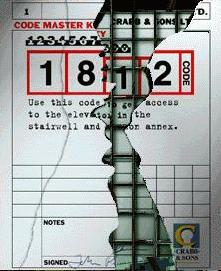 Inside, obtain Egyptian cypher #2 (unused in the game) and the I combination element for the F-9-12 Safe. Exit east. The tuning of the radio stations needs to be fairly precise, so be sure you locate the red line in the center of each band you're tuning. Inside the safe, pick up the J combination element for the F-9-12 Safe and the #9 combination element for the T-1001 Safe. Exit through the door to the north. Pick up the #3 combination element for the T-1001 Safe. Exit through the door in the northeast corner of the room. Recreate the tune by playing the following notes: G G D D E E D C C B B A A G. The safe opens automatically and you can obtain the F combination element for the F-9-12 Safe and Egyptian cypher #3, which will be needed momentarily. Exit the room to the west and enter Room 48 (the Secretary's Office). There's not much to do in this room except to access a secret passage from the cellar, which we'll discover later. Exit through the door in the northwest corner of the room. Inside the safe, pick up the D combination element for the F-9-12 Safe. Return to the cellar via the kitchen (you'll have to reopen the secret doorway using the coffee grinder handle on the wall). Use the cellar map to go back to the passageway outside Room 59 (east of the white table), then continue east through an S-shaped curve in the corridor. As soon as you've passed through the curve, turn left and open the door in the dark alcove to the north. If 7 and 8 are equal, start over! Keys are selected for each side of the scale by dragging the associated gold-colored knob to the left or right. A weighing is accomplished by dragging the W knob upwards. Scales are cleared by dragging the W knob downwards. When the heavy key has been identified, clear the scales, then click on the key's green button and pick it up from the output chute. Exit the room and turn right. Return through the S-shaped corridor and approach the three whisky barrels on the other side of the white table. Zoom in on the middle barrel and click on its spigot to access the Barrel Safe. Use the heavy key to open the safe. Inside, pick up the whisky bottle (just for fun), a photo showing part of the solution to the Secret Room Safe, seven additional quarters, and a diagram of a chess game in which White has checkmated the Black King at lower right. Hey, this safe won an award in the Safesexhibition! From the barrel, turn left and continue to the end of the corridor. Turn left, then left again into the first alcove. Activate the Card Safe by lighting up the joker figure on its door, then turning the handle. Press the "Start Now" bar at left to begin a game of Beat My Hand (5-card draw poker). Press the DEAL button and decide which cards to keep by pressing the HOLD button(s). Press the DEAL button again for replacement cards. If you lose, try again. When you win, click on the center card to determine that the G combination element for the F-9-12 Safe is 0. Continue east to the next alcove in the cellar. Here's an optional diversion in the game in which you can use up any remaining quarters you might have in inventory. Click on the tricycle at lower left for a sound effect. Click on the teddy bear at right for an animation of Ted Dead and his remarkable head. Click on the book lying on the chair next to the bear to disclose the target slot-machine sequence: A: Apple, B: Banana, C: Lemon. Zoom in on the slot machine and insert a quarter. You then have three pulls of the one-armed bandit's handle to come up with the winning sequence, and you can lock the symbol in any position by using its HOLD button. If you run out of quarters, you'll have to restore a saved game to get more. Although the odds against it are tremendous (we're told it's something like 9000 to 1), it is possible to win at the slot machine and the payoff is a special bonus from Daydream Software that does not affect the outcome of the game. When you're finished playing, return to the S-shaped curve in the corridor and continue east past the door to Room 58 and around the corner to the south. For an optional detour at this point, save your game, then open the wooden door at the southern end of the corridor, opposite a black trash bag. Go through the door, turn left, and follow the corridor all the way down and up some metal stairs to a door marked "EXIT". This door is a one-way passage back to the street outside the Crabb mansion. We have all codes for the final safes in the game, so the only task left is to return to Floor 2 of the house and find the safes. 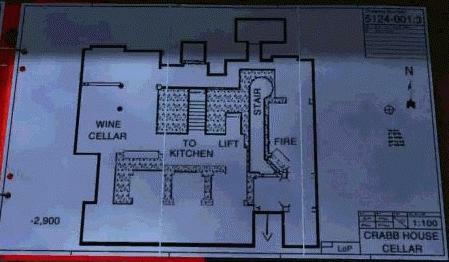 A quick way to do this is to use a secret passage suggested on the cellar map. In the alcove just north of the wooden door to the exit passage, zoom in on a large mechanical apparatus, which appears to be the same as that shown in the diagram we found in the Chief Engineer's office. Insert the crank handle you found in the S-2 Safe in Room 2 (Small Showroom). 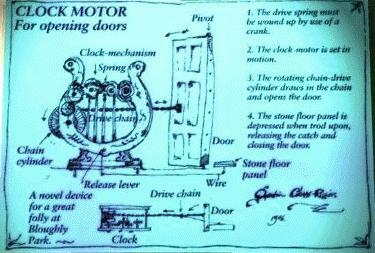 Click on the crank to activate the mechanism. Move a bit to the north and pass through a secret door that has now opened up in the back of the fireplace (a one-way trip). Proceed to the end of the secret corridor (Room 57) and climb the spiral staircase to Floor 2. At the top of the stairs, turn left and go through the panel. This panel is the back side of a painting in the striped hallway of Room 48. Using the map of the Crabb house, return to the Library via Rooms 49 and 52. Go back to the northwest corner, where you previously used the pullcord to reach the cellar. Look carefully at the books to the right of the pullcord, one step back from the cord. Click on the hotspot in the upper row of books to open a secret panel. Click on the yellow diamond to disclose a secret door. Go through the door into the rear area of Crabb's office (Room 52). Grab the only item inside the safe, a White Queen chess piece at lower left. Exit the safe and zoom in on the chessboard along the north wall of the room. Place the White Queen in the position indicated in the chess diagram on the note from the Barrel Safe; that is, first put the chesspiece on the board and then click on the white square immediately to the right of the Black King in the next-to-the-last row. This move checkmates the Black King and opens a secret stairway in the floor. Click the cursor on the staircase to descend. Exit the cage and open the door to the staircase. Return upstairs and exit through either wooden door into the library. Use the northeast door of the library to reach the anteroom of Crabb's office. Immediately turn left and zoom in on the television set. Insert the video cassette and watch the interesting endgame sequence in which a "home movie" format is used by Nigel Papworth to introduce the game developers. When it's over, click to watch the game credits.